We look forward to seeing everyone out on the fields! If your child is interested in playing any sports for Sacred Heart next year, please complete the short survey linked here: 2018-2019 Sports Survey Link . This will help us to disseminate information on those sports to you as well as to help us prepare for the number of teams, uniform needs, scheduling demands, etc. Coaching — we need coaches! We will not be able to field teams unless we have a coach for each one. If you are interested in coaching or volunteering in any way, please indicate that on your survey and I will fill you in with all the details of what is required and what to expect. FOOTBALL — URGENT — Football begins training in the summer, and we will need to get coaches lined up now. It takes multiple coaches to run an effective football program, so please consider helping out. There is a place on the survey to indicate your preference of head coach, assistant coach or volunteer. CHEER — URGENT — We will need to order cheerleader uniforms in the next two weeks due to the long lead time. We need a coach for this program and/or someone who can coordinate the uniform order. Please indicate on the survey if you are interested and able to help. There will be costs associated with playing; however, the survey is for informational purposes only and will not commit you to playing or paying the fees. To be eligible to play, a student must maintain a 2.0 GPA and maintain a D or higher grade in each of their core classes. Grades of all athletes will be checked on a weekly basis. 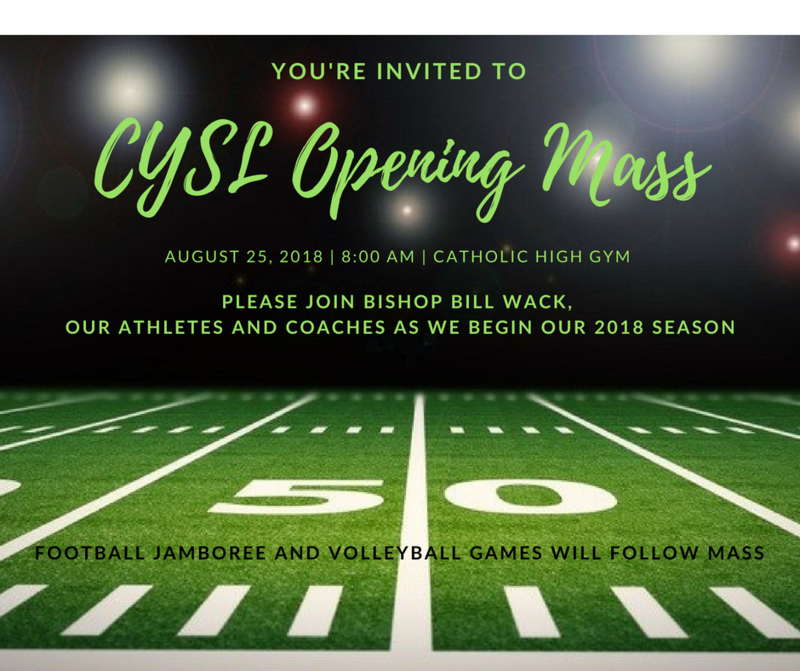 If you have any questions, comments or would like to discuss any of the details, please contact Coach Kelly at kcomerford@shcs.ptdiocese.org or at (850) 393-9340. Middle School Swimming starts November 27th. The Saints Swim and Dive Team is made up by all the Catholic, Parochial, and Private Schools in Escambia County. If you are interested, please download the registration form, EL2 Physical form, EL3 Liability form, and the Drug consent form.